We used this keyboard as our daily driver for a month during this time we played various games spent lots of time typing. We used Corsair K70 with Cherry MX Red as our primary keyboard after switching to K70 RGB MK.2 Rapidfire we feel this keyboard is much more responsive than its predecessor as because of Cherry MX speed switches, I must say it rather to responsive as the actuation force so low that you will have to adjust to it or you will press the keys just by placing finger over them. Gaming on the K70 RGB MK.2 is a real pleaser and the typing experience also pretty good too. The Cherry MX speed switches mean there no need to bottoming out the keys while typing, resulting in reduced finger fatigue. Though you should choose the switches type according to your preference as K70 RGB MK.2 available with different Cherry MX switches types. Other than the high price tag and tricky software control, the K70 RGB MK.2 is nearly flawless and the durability of this is also great as our original K70 still kicking after 5 years of daily use and a new one should last even better. 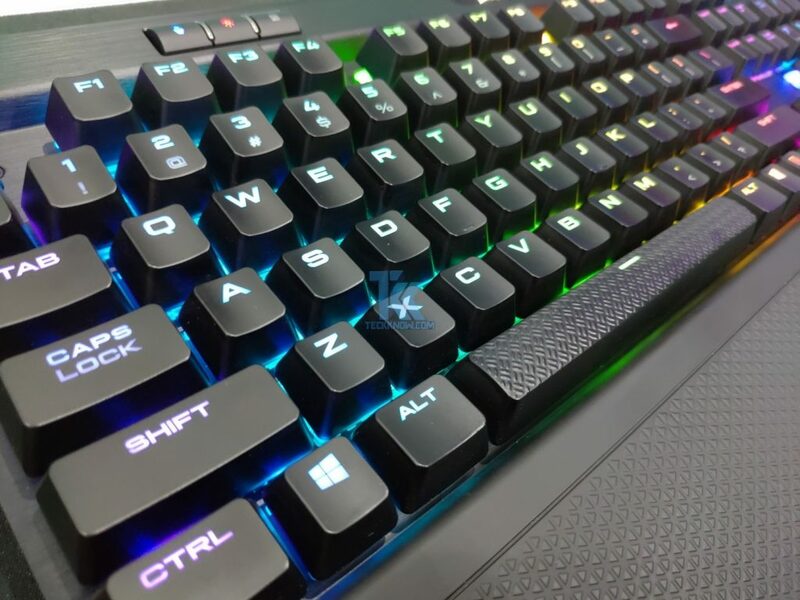 Overall Corsair combined all their keyboard engineering from the past few years to build the K70 MK.2 and we are happy to recommend if you are looking at high-end gaming keyboard. We are happy to give Corsair K70 RGB MK.2 our Editor’s Choice Award.